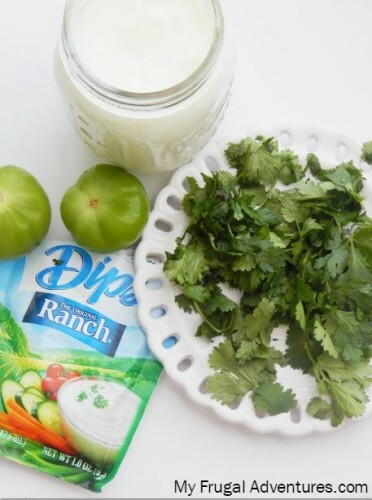 I have a super fast and easy variation on a standard Ranch dressing for you today. 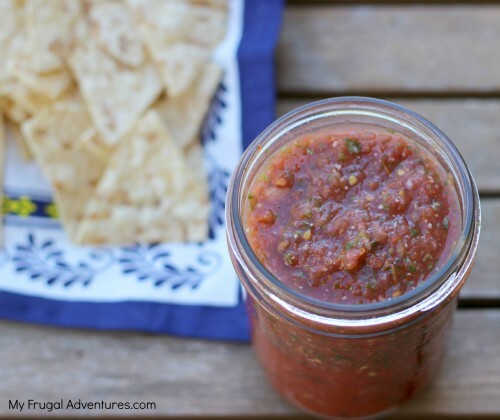 This is really delicious on burrito bowls, taco salads or use it as a dip for fresh veggies and chips. This takes literally minutes to whip up in the blender and it will last a few weeks in the fridge. Here is the basic recipe. 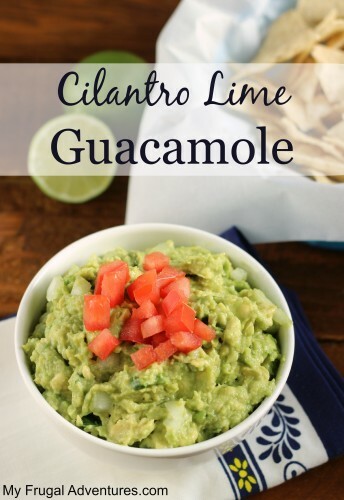 You can add a little jalapeno if you prefer for a bit of a kick or if you want a slightly more zesty flavor add just a bit of lime juice. 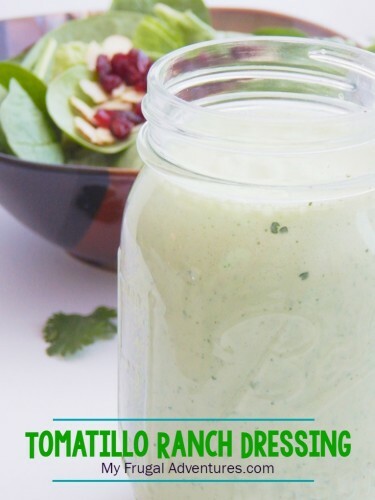 Quick and easy blender Tomatillo Ranch Dressing. 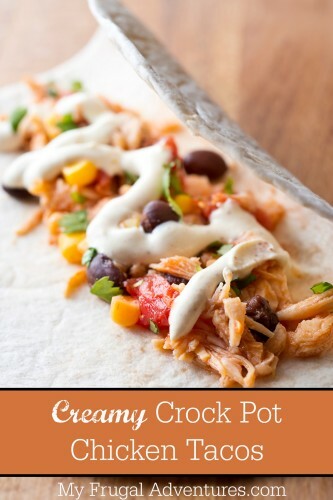 --optional ½ cup sour cream or plain Greek yogurt for a thicker consistency. Add all ingredients into the blender and blend until smooth and creamy. Last year I gave our teachers a Tomatillo plant as part of Teacher Appreciation week. I attached a gift card from Whole Foods and put a tag on the plant with a recipe for tomatillo salad dressing on the back side. The Whole Foods gift cards are really cute because they say lunch money on them which I thought was cute for a teacher. Anyway, give this a shot and come back and let me know what you think! 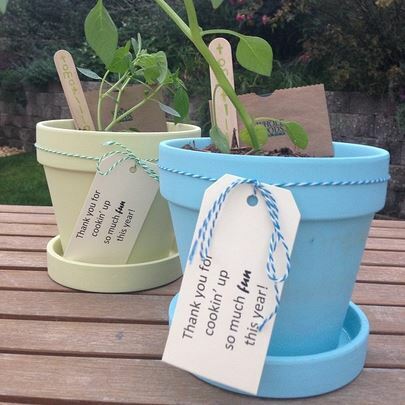 Such a cute idea with the plant and gift card! Can’t wait to try this recipe – yum! We love this recipe!! It is so good on taco salad! Glad you liked it Ana- thanks for coming back to comment!